Summary: The fifteenth anniversary of the Gyakuten Saiban (Ace Attorney) series was celebrated on January 22, 2017 at the Gyakuten Saiban Fifteenth Anniversary Special Court event. 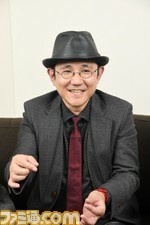 Famitsū interviewed series producer Eshiro Motohide and directors Takumi Shū and Yamazaki Takeshi about their thoughts on this joyous occasion and about Takumi's upcoming game Dai Gyakuten Saiban 2 ('The Grand Turnabout Trial 2'), of which a demo and promotion video was shown at the event. This interview, published on January 31, 2017, is actually quite unique as it features both Takumi and Yamazaki appear: the two have not worked on a game together since Gyakuten Saiban 4 (Ace Attorney 4 - Apollo Justice) and therefore seldom appear side-by-side on "official" business. A Direct Interview Right After The Event! Interviewer: First of all, congratulations with the fifteenth anniversary of Gyakuten Saiban (Ace Attorney)! Today's event was brilliant! I suspect the enthusiasm of the crowd also reached all of you on stage. How was it? Takumi: Thank you. There really was a crowd out there. Eshiro: I was watching everything on the monitors backstage all the time when I wasn't on stage, but people were really excited when we did the variety corner or the corner with the cast members appearing. We really wanted to celebrate the fifteenth anniversary, and we had planned to have an even better contents and a bigger scale compared to the Special Court we held for the tenth anniversary, and that really succeeded, so I'm happy it went off great. Interviewer: The audience got really excited with the Scene Imagination Quiz, where they had to come up with something based on the scene presented. There was that serious scene where Naruhodo (Phoenix Wright) and Mayoi (Maya Fey) are looking each in other in the eyes, and I really had to laugh becaue of the Kenji team did (Wada Takuma (Mitsurugi Reiji), Isogai Ryūkai (Itonokogiri Keisuke) and Hayashi Akihiro (Yahari Masashi) of the Gyakuten Kenji ~ Gyakuten no Teleportation stage play), or what Kondō Takayuki of the Gyakuten Saiban team said, coming up with lines the Naruhodo of the games would never say. Interviewer: You should no less than two original Special Courts we're so familiar with this time, ten minutes each (short dialogue sketches featuring the characters based on the game engine). 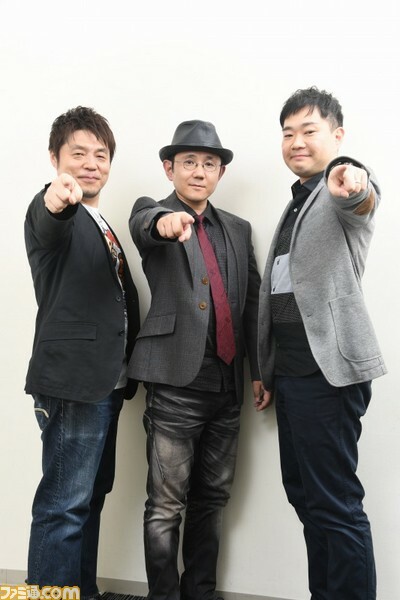 Eshiro: I asked the Dai Gyakuten Saiban ('The Grand Turnabout Trial') team to make them. It was a pretty absurd request from me. But they still worked along. If we did have this, this wouldn't have been a Special Court. Interviewer: You do really need these kinds of Gyakuten Saiban events for it to be a real Special Court, don't you? I think the fans were also looking forward to it. Yamazai: We are always destined to make them (laugh). Interviewer: By the way, the promotion video of Dai Gyakuten Saiban 2 - Naruhodō Ryūnosuke no Kakugo - ('The Grand Turnabout Trial 2 - The Resolve of Naruhodō Ryūnosuke -') you showed at the end was met with voices of "Oooh!" and also "Whaaat!?" from the public, but how is development on Dai Gyakuten Saiban 2 going at the moment? Eshiro: It's right in the Grand middle of development (laugh). Eshiro: I want to go back to Ōsaka right away to work on it (laugh). On stage, Takumi here said "Please give me some time", but that was really a cry from his heart (laugh). It's always the same story with both Takumi and Yamazaki here, but for them time = life. I think all creators are like that. They give up a bit of their own life to make their games. What fuels is them seeing the reactions of users like with today's event. That becomes their energy, or perhaps I should call it motivation, and it allows them to work further on their projects. It makes them want to return the favor back to the users who came here and to the consumers, with something more fun than they can imagine. Interviewer: Yes, there is a kind of fun you can only find at events like this. I think the people coming here also expecting much of "live fun". Eshiro: Yeah. That's wy were were not that tensed, and relatively relaxed. We also had lots of segments. But because of that, things did get difficult for the development team. And then we had the live performance at the end. We never had a band perform a medley of just Tsuikyū ('Pursuit') before. We did have orchestral performances before, but this was the first tie we had an orchestral band like that. So I think it all turned out great. Interviewer: Speaing about live, when you were showing live footage of Dai Gyakuten Saiban 2, Shimono Hiro started talking about some behind-the-scenes story about the voice recording, and I remember very well how a nervous expression appeared on Mr. Takumi's face. Takumi: I was really scared then. Who know what he's going to spill (laugh). But of course he didn't spoil anything at all. Eshiro: Up until halfway his story, I was thinking this was going to be dangerous (laugh). Interviewer: This is actually a very rare occasion where we can ask both Mr. Takumi and Mr. Yamazaki. Yamazaki: Yes, I am the director of Gyakuten Saiban 5 (Ace Attorney 5 - Dual Destinies and 6 (Ace Attorney 6 - Spirit of Justice) and Gyakuten Kenji (Ace Attorney Investigations), while Takumi here directs Dai Gyakuten Saiban, so we actually never have interviews together. Interviewer: Did you play Dai Gyakuten Saiban...? Yamazaki: I had absolutely nothing to do with the game, so I enjoyed it as a consumer. I know nothing about the story of 2 at all. But just a while ago, while Eshiro was doing a test play, I peeked at the screen from behind him. I shouldn't have looked (laugh). Eshiro: My desk is becoming a danger zone (laugh). Yamazaki: I just want to enjoy the game, so I really have to watch out. In regards to this game, I'm really just one of the fans. Interviewer: (laugh). Who is your favorite character of Dai Gyakuten Saiban? Yamazaki: Hmmm. I think I'd go with Natsume Sōseki. Yamazaki: There was that Escape The Room game with Sōseki in Meiji Mura in Aichi Prefecture right? (Meiji Mura X Real Escape Game Dai Gyakuten Saiban The Disappearance Of Suspect Natsume Sōseki held in 2015). I couldn't go there because it was too far, but I really wanted to. The most impressive memory of these fifteen years? Interviewer: What left the most impression with you in these fifteen years? Yamazaki: The reaction of the people when we announced Gyakuten Saiban 5 at the tenth anniversary event was amazing. I still remember it clearly. The logo appeared on the screen, and I could feel the ground shake from the screams from the audience. I was really surprised. Kinda brings a tear to my eye, realizing it's been five years already since that moment. Interviewer: That's a line Mitsurugi (Edgeworth) said in the Special Court video. Yamazaki: I really felt like that! (laugh). Interviewer: Seems like you both feel like that. And Mr. Eshiro, what about you? Eshiro: Fifteen years... it almost feels like yesterday. Personally I am very grateful that over these fifteen years, it managed to continue as a very big IP. It's not just Gyakuten Saiban, but also things like Gyakuten Kenji and Dai Gyakuten Saiban. We have people who have played all the series, but also fan who like a particular work, and you can sense the fanbase is really broad. And in 2016 we managed to get a TV anime series broadcast, so we also got a new group of users. And we did a lot of stage plays. And it's never just one thing. They all become build up in great ways, and spread out like that to the users. In terms of age, the fanbase also grew, and we hear stories from mothers who play it with their daughters, so I am really grateful it has grown out to this. Interviewer: Parent and child? That's amazing! If someone was fifteen when the first game was released, they'd be thirty now. Mr. Takumi, what made an impression on you? Takumi: There's just too much to name. Yamazaki: For Mr. Takumi, it's really been fifteen whole years, right from the start. 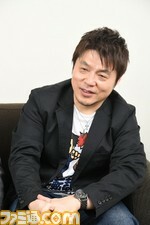 Takumi: I think what touched my heart the most, when I can meet with fans face to face, and they tell me the game is fun. Lately, we have release day events, and I'm able to meet the fans there. I'm really happy I can talk with them there. Eshiro: You can really see the expressions on the faces of fans. Takumi: When I made Gyakuten Saiban 1, 2 and 3 (Ace Attorney 1 ~ 3), we had those questionnaire postcards. Because internet was not really widespread yet. So we went from postcards, to internet, to really meeting with the users at events. That's a change you notice because the series has been going for so long. I am really grateful for these occassions. Both to the places that allow for such events, and the people coming. Interviewer: Oh yeah, when Gyakuten Saiban first released in 2001, questionnaires were still mainly done by postcard. I also sent one, actually. I think I wrote about Chihiro (Mia Fey), whom I liked a lot and something like "This is the first time I stayed awake all night playing a game". Takumi: I often heard from people who had played too long, with their batteries dying on them (laugh). Eshiro: We do really read every single postcard. With the whole team. Takumi: Yeah, we've been reading them right since the very beginning. Interviewer: Sorry for the jump, but can I ask you for a message about the following fifteen years? Eshiro: The following fifteen years!? That's a long time (laugh). So we'd have a thirtieth anniversary? I might be retired from Capcom by then. Oh, but we're talking about fifteen years, I'd expect they'd have changed producers by then (laugh). We only have any meaning as long as the customers want us. If nobody says they want to play the games, there's no meaning to making them, even if we want to. So as long as I am with Capcom, I want to keep raising the quality of the games so people will keep on saying they want to play Gyakuten Saiban and keep on coming up with things to bring Gyakuten Saiban in the news. Yamazaki: The series will probably go on in several ways, but I look at Gyakuten Saiban as an epoch-making game that created a whole new genre. I want it to grow even further, both with numbered entries, but also in other forms. I wonder what events we'll have if we'll do another fifteen years. We had a lot of corners this time already, so we'd run out of time if we want to do more. Eshiro: We'll hold the event across two days (laugh). Yamazaki: Appearances of this and that person, presentations on this or that game... I'd be great if the world of this series will have expanded so widely that we'll never be able to fit it within two-and-a-half hour event. Takumi: I often say this, but I don't work towards a certain anniversary year as a goal. I want to do my best working towards the game in front of me. I think I'll always be working like this, until there's nothing left in me. Takumi: That's too cruel (laugh). I am now working with all I have on Dai Gyakuten Saiban 2, so please wait just a little longer. Having watched a translated playthrough of DGS 1, I can understand Yamazaki having Natsume Sōseki as a favorite character. He's such a riot. Anyways, excuse this comment's length. Well, in the end I'm also incredibly grateful to how long-lived this series is. Both Takumi and Yamazaki have created great games, and I have a favorite character from each era. In Justice for All, I found someone to relate to in Adrian Andrews. I cheer her on and love replaying her story, and I think her arc is some of Takumi's best work. In Dual Destines, I enjoyed most of Turnabout Academy, but especially Robin Newman. My first time through, I looked forward to see what crazy thing she would do next, and on replays just seeing her makes me smile. I hope she appears at least one more time. Here's to much more Ace Attorney! I have funnily enough read quite a number of Sherlock Holmes and Sōseki crossover stories, and it was really interesting to see what Takumi did with this concept. If there's anything Takumi can do, it's creating surprising characters.